The widespread use of mobile devices is producing a huge amount of trajectory data, making the discovery of movement patterns possible, which are crucial for understanding human behavior. 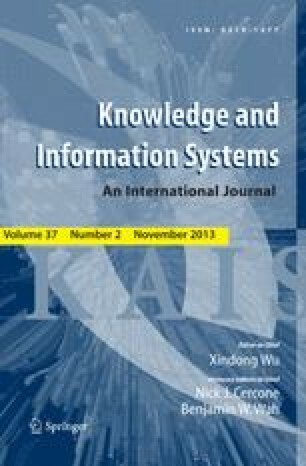 Significant advances have been made with regard to knowledge discovery, but the process now needs to be extended bearing in mind the emerging field of behavior informatics. This paper describes the formalization of a semantic-enriched KDD process for supporting meaningful pattern interpretations of human behavior. Our approach is based on the integration of inductive reasoning (movement pattern discovery) and deductive reasoning (human behavior inference). We describe the implemented Athena system, which supports such a process, along with the experimental results on two different application domains related to traffic and recreation management.